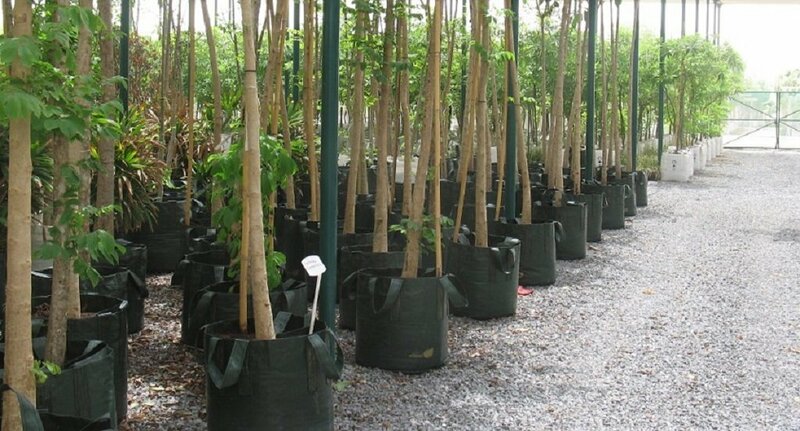 Until 15 years ago, all trees were grown in hard plastic pots or film grade poly bags. At that time, there was no such product as very strong grow bags for trees with handles in Australia. This was always a big problem for production nurseries, as lifting plastic pots increased the risk of back injuries to workers which in turn increased the cost of insurance premiums and workers compensation claims. In 1992, Steve Turner, owner of Wangara Horticultural Supplies had several meetings with Australia's largest nursery to try and find a solution to this ever-increasing problem. It was then that the first trials of woven planter bags with handles were done. After one spring and summer season, the trial stock was inspected. To our amazement, we found that the trees had a far healthier root system than others grown in hard plastic pots. We now had a far superior product- plant bags with handles to assist in lifting. An added bonus was the superior root formation that all but eliminated root spiraling. Today, plant bags with handles are used throughout the nursery industry in most countries due to the ease of handling and superior root growth. From 1993 until 2004, the plant bag with handles was widely accepted due to its ease of handling and many other features. However, several nurseries could not work out how to fill them manually and still retain a perfect cylindrical shape. To solve this, in 2004 Wangara Horticultural Supplies decided to change the configuration of the planter bag from a commodity type of bag to a round bottom bag. Now the Easy-Fill™ Planter Bag has all the quality features of previous grow bags with a round bottom panel sewn in, allowing for correct filling and perfect presentation. Easy-Fill™ round bottom planter bags are made from the finest quality raw materials in any size, shape, colour or configuration to suit the most astute nursery and have the highest quality UV additives to guarantee a long life in the world’s harshest climates. Wangara Horticultural Supplies are the exclusive manufacturer of Easy-Fill™ round bottom woven planter bags with handles. We warn potential users not to be fooled by cheaper copies of planter bags being offered in the market place. A planter bag is not cheap when you have to buy it twice. Wangara Horticultural Supplies are a privately owned Western Australian family business who pride themselves on quality products and continued repeat business and were the first in the world to conceive the round bottom woven planter bags with handles. We thank everyone for their support in making it a very successful product. Planter bags are manufactured with additional side drainage holes that assist in air pruning and superior plant growth. Planter bags are made from top quality prime virgin materials. All components including sewing threads are UV stabilised and subject to very strict quality controls. Planter bags are manufactured in sizes from 11 litres to 3000 litres. All bags from 15 litres have super strength handles that can be lifted by forklifts and cranes. With ever-increasing rises in insurance premiums, Planter bags with handles will reduce the risk of back injuries and expensive workers compensation claims. Planter bags can be made to any size, colour or shape to suit your requirements. They can also be printed with your own personal logo or trademark. Planter bags are packed in bales of 25kg maximum weight for easy storage and handling. Easy-Fill™ Planter bags are available in LITRE and GALLON sizes. To ensure the finest quality for your plants and trees, always insist on EASY-FILL™. 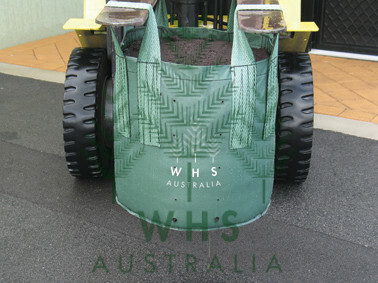 To find out more about our wholesale planter bags, contact us or visit our store in Perth today!